The bus carrying 35 passengers collided with truck on Wasim-Akola road near Ridhora. 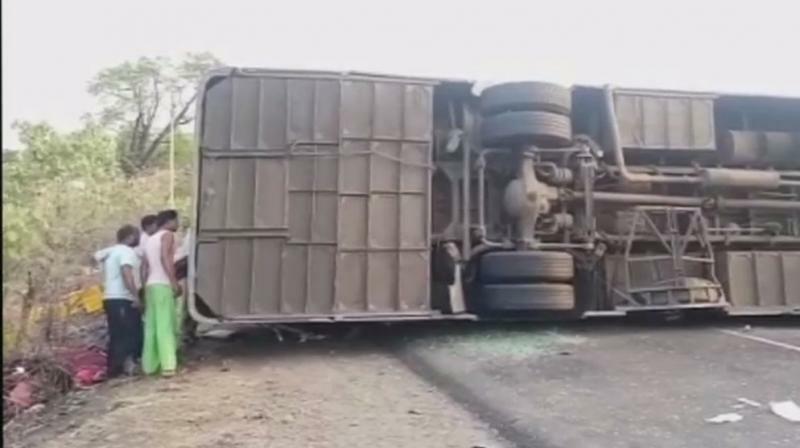 Ridhora: Three people died and 18 others sustained injuries after a bus collided with a truck near Maharashtra's Ridhora town on May 7. The bus, which was carrying 35 passengers, met with the accident on Washim-Akola road near Ridhora. The injured have been transferred to a local hospital near Akola city. A rescue operation is underway.